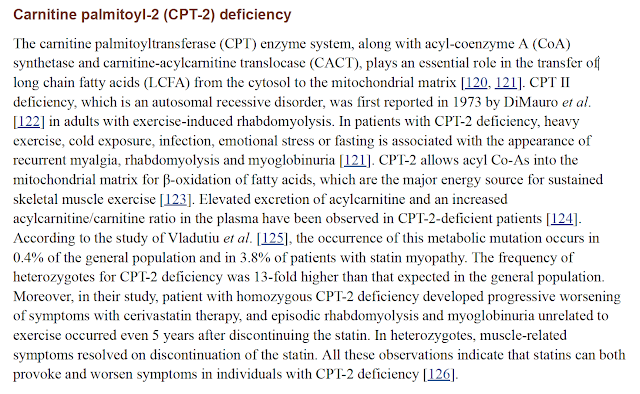 I ran across an study today that everybody with CPT2 deficiency should be aware of. 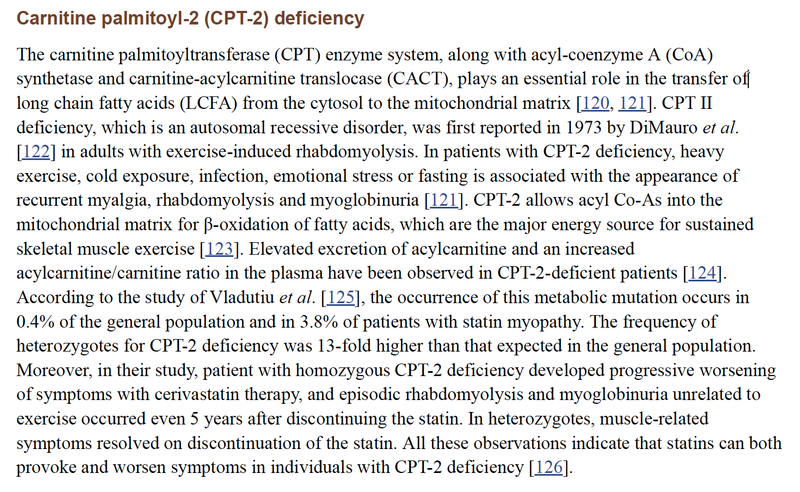 It shows that those who are heterozygous for CPT2 (so not symptomatic) are 13 times more likely to experience muscle myopathy when given statins. We know so little about fatty acid oxidation disorders that it makes sense for us to give our relatives a heads-up that they should let their doctors know they may be recessive for CPT2. This is particularly important to discuss when getting statin prescriptions. Click here to see the article and search for "CPT" to find the relevant paragraph.